The Fourth of July is one of my favorite holidays. I’m not sure why, but I think it’s the time outside at night that appeals to me. The kids are always excited and our neighborhood goes ALL OUT when celebrating. All around, it is a great time of the year and out last big celebration before school starts back. Fourth of July doesn’t have to cost much to celebrate, though. For us, it falls during the beginning of back-to-school season, so we try to keep our spending to a minimum. Almost everything I used in this post was bought at the Dollar Tree, with the exception of a couple of things I bought at Big Lots and Hobby Lobby. The cool thing about shopping at Hobby Lobby within 2 weeks of the holiday is that they are already two holidays ahead and making down the current holiday decor like crazy! Including the groceries and decor, I spent less than $30 putting this super fun table together and am excited to share it with all of you. I bought the platter for this strawberry, blueberry, pretzel flag at the Dollar Tree. I also bought the bowl that the blueberries are in there 🙂 I got 4 decorative bowls for $1. This is super easy to make and you can use any red berries you like. I have used raspberries and cherries in the past. You can even use a blue variety of grape, like a concord grape, instead of blueberries. 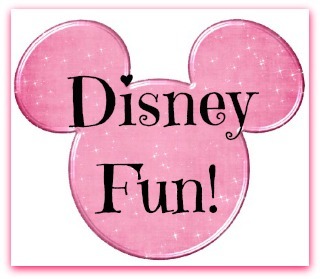 Have fun with it and enjoy! These watermelon firecrackers were also super easy and fun to make! The photo is pretty self explanatory. Just put a few blueberries or blue grapes on a skewer, then a watermelon star on the top. A couple of tips for you though; don’t slice the watermelon thicker than the cookie cutter will cut and leave about 1/2 inch at the top of the watermelon star (don’t push the skewer all the way through). These red, white, and blue rice votives are always a hit with my friends. Since we live in the land of rice, it’s a great way to celebrate the fourth with a little bit of Cajun flair! Just put 1 cup of rice in a quart size zipper bag with 10-20 drops of food coloring. Color red and blue rice, and just keep the white portion plain. I add about 3/4 cup of rice per layer, then bury an LED votive in the top (blue) layer. You can find these votives for under $1 in a ton of places. I got these 2/$1 at the Dollar Tree. You can use mason jars or even clear plastic cups. As long as you’re using LED lights, there’s no risk of fire. Have fun with them and enjoy! 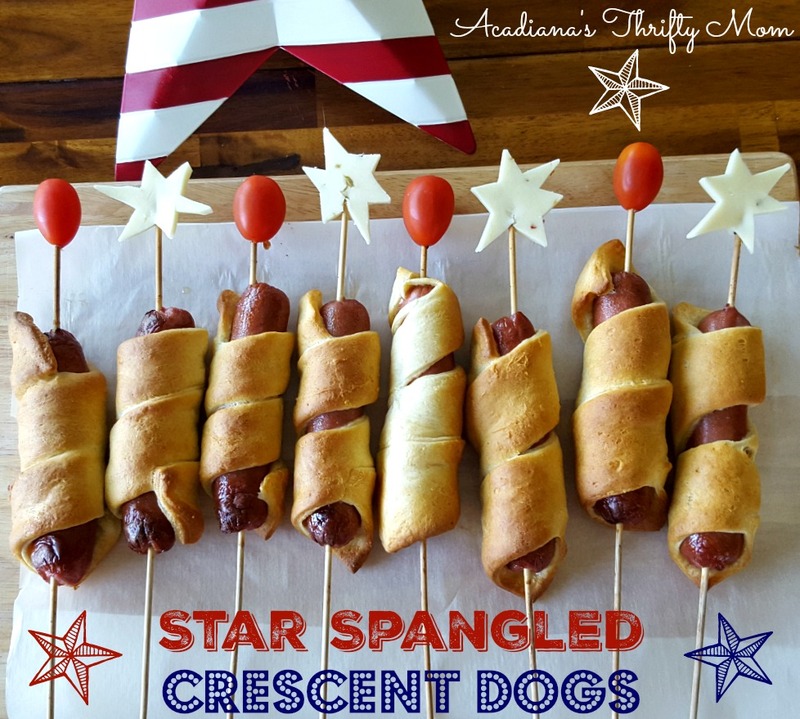 I’ve been making different versions of these Star Spangled Crescent Dogs for several years now. My kids love them even when it’s not Fourth of July and they make a great sleepover treat! You can get the directions on how to make these right here! These Easy Peasy Firecracker pretzel sticks are another great treat that can be adapted to many different holidays and occasions. They are super easy and don’t cost much at all. Your friends and family are sure to be impressed! Get the directions for these Firecracker Pretzel Sticks here! I hope you have enjoyed all of my favorite Fourth of July ideas. Have a safe and fun holiday! We also made these super fun and easy DIY Fourth of July confetti poppers! You’re going to want to try them too. You can find the directions over here!